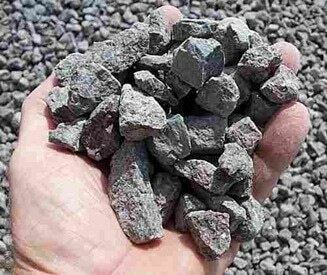 The surface texture of the aggregate can be either smooth or rough. A smooth surface can improve workability yet a rougher surface generates a stronger bond between the paste and the aggregate creating a higher strength. The grading or size distribution of aggregate is an important characteristic because it determines the paste requirement for workable concrete. The required amount of the concrete paste is dependent upon the amount of void space that must be filled and the total surface area that must be covered. When the particles are of uniform size the spacing is the greatest but when a range of sizes is used the void spaces are filled, the less workable the concrete becomes, therefore, a compromise between workability and economy is necessary. The moisture content of an aggregate is an important factor when developing the proper water/cementitious material ratio.